An Iconic Wonderland. A National Treasure. as one of the top travel destinations around the world... and most of this amazing national park rests in the northwest corner of the great state of Wyoming. Among its world famous attractions include Old Faithful Geyser, Historic Old Faithful Inn, Grand Canyon of the Yellowstone, Lower Falls, Yellowstone Lake (the largest high altitude lake in America), Historic Lake Yellowstone Hotel, Roosevelt Arch, Mammoth Hot Springs, Lamar Valley, Hayden Valley, Madison Canyon.... and the many iconic geyser basins such as Upper Geyser Basin, Black Sand Geyser Basin, Midway Geyser Basin, Midway Geyser Basin, Norris Geyser Basin and West Thumb Geyser Basin. 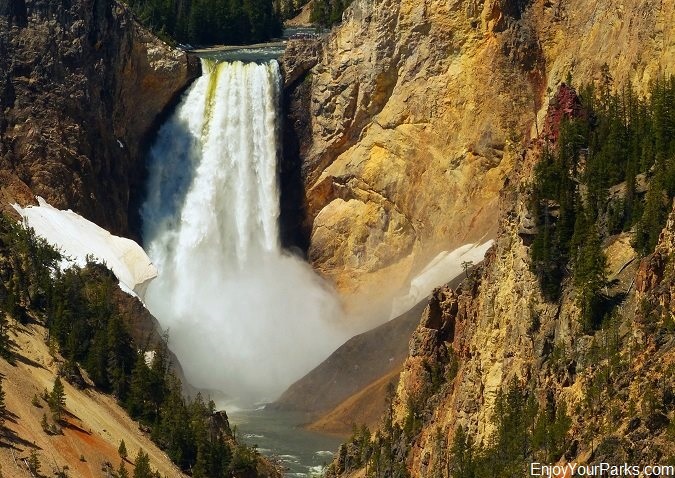 The list of all the Yellowstone Park attractions goes on and on and on! Lower Falls, Grand Canyon of the Yellowstone. At over 2 million acres in size, Yellowstone National Park is so big and so diverse and offers so many things to its visitors, that we have built an entire section on this website devoted entirely to Yellowstone National Park. 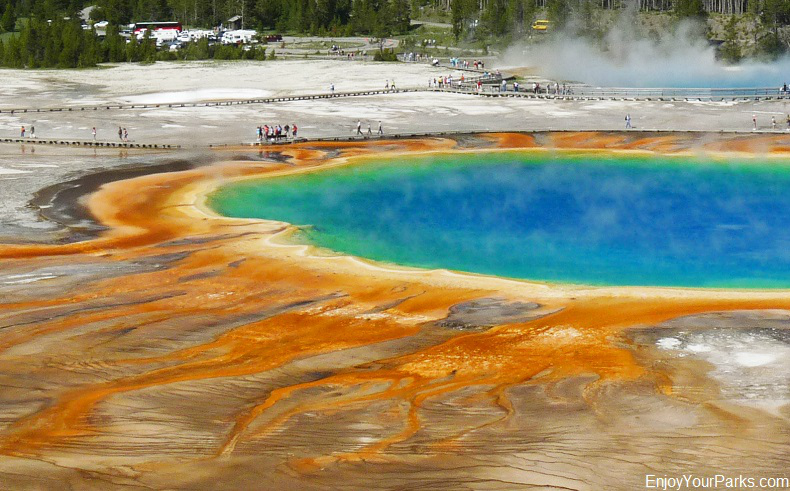 CLICK HERE to visit this detailed section on Yellowstone Park. 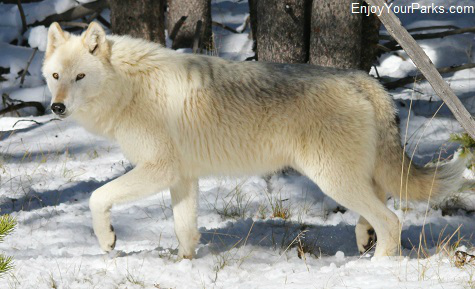 You will learn exactly where to go, what to do and where to see animals in Yellowstone National Park. Geysers, Geysers and More Geysers! 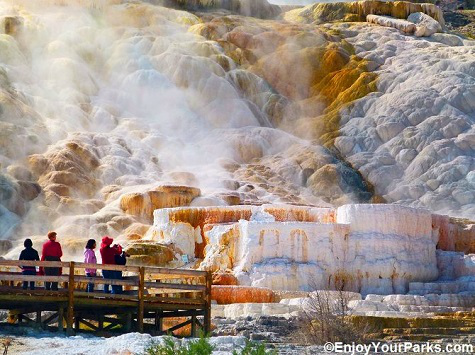 Yellowstone National Park is home to the world's largest collection of geysers and other geothermal features. In fact, nearly two-thirds of the world's geysers are found in Yellowstone Park, which is about 300, and there are over 10,000 additional geothermal features located within Yellowstone Park's borders, which represents half of all the geothermal features in the world. One of the most famous geysers on the planet is unquestionably Old Faithful Geyser, which is found in Yellowstone National Park, and is an iconic symbol of this amazing wonderland. 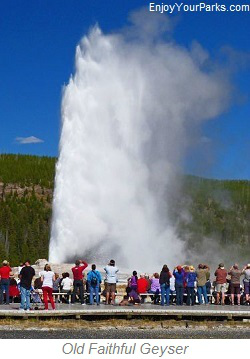 The world's largest geyser, Steamboat Geyser, is also found in Yellowstone Park. Much of the reason that there are so many geysers and additional geothermal features in Yellowstone National Park is that the area is actually an active "Super Volcano". This volcano, when it has erupted in the past, changed the course of all living things on the earth due to the massive, long term and dramatic change to it's climate from the ash and gases released into the air. The eruption that occurred about a million years ago was 1,000 times bigger than the Mount Saint Helens Eruption in 1980. The the most recent eruption, which was much smaller than the one a million years ago, occurred about 100,000 years ago. The "Caldera" (30 miles x 40 miles in size), which is the collapsed opening to this huge volcano, is among the largest in the world, and is located in the middle of Yellowstone National Park. In addition to geysers, one of the other main attractions in Yellowstone National Park is its incredible wildlife. 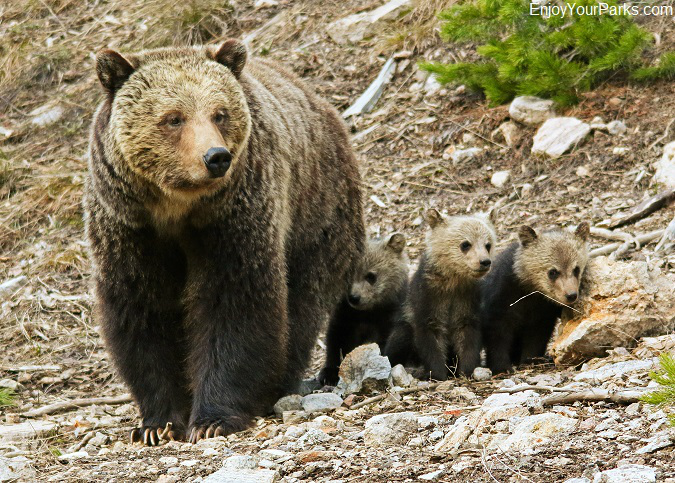 Bison (buffalo), elk, grizzly bears, black bears, wolves, coyotes, bighorn sheep, pronghorns, mountain goats, moose, river otters, bobcats, mountain lions, pine martins, weasels, owls, eagles, hawks, mule deer and whitetail deer are just a few of the 67 mammal species found in Yellowstone Park. There are also 327 different bird species, 16 fish species and over 1,349 plant species found throughout this incredibly diverse landscape. Yellowstone National Park is a land of diversity, where there are many different "Life Zones" thoughout its borders... from high alpine country to low marshland, there are eight distinct Life Zones that are home to an amazingly diverse array of wildlife and terrain. What is known as "The Greater Yellowstone Ecosystem", this gigantic 20 million acre area represents one of the largest nearly intact ecosystems of a temperate zone found anywhere in the world. By the way, there are nearly a thousand miles of hiking trails and over 300 back country campsites found within the boundary of Yellowstone National Park, as well as a wonderfully designed highway system known as "The Grand Loop" that allows visitors to explore this magical wonderland. You could spend a lifetime in Yellowstone National Park and still not experience everything this great park has to offer... there is so much to see and do...it's quite overwhelming. So we made a very gallant effort to simplify it all to help visitors know exactly "where to go, what to do and where to see animals". 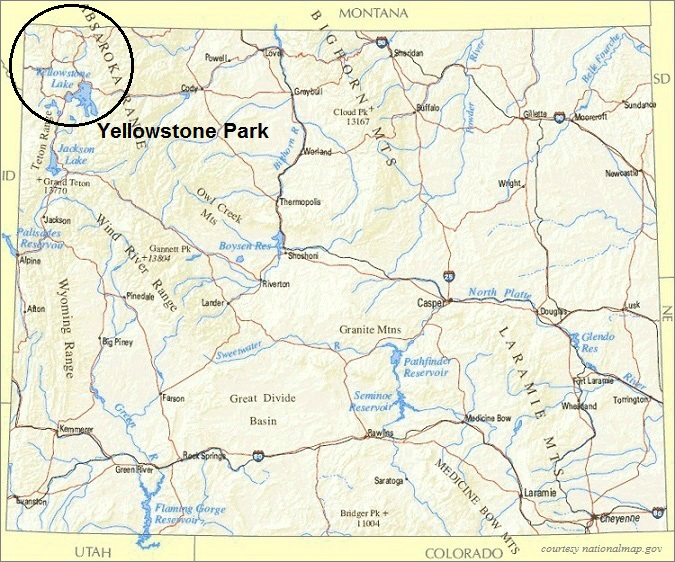 Click Here to visit our section detailing Yellowstone National Park.